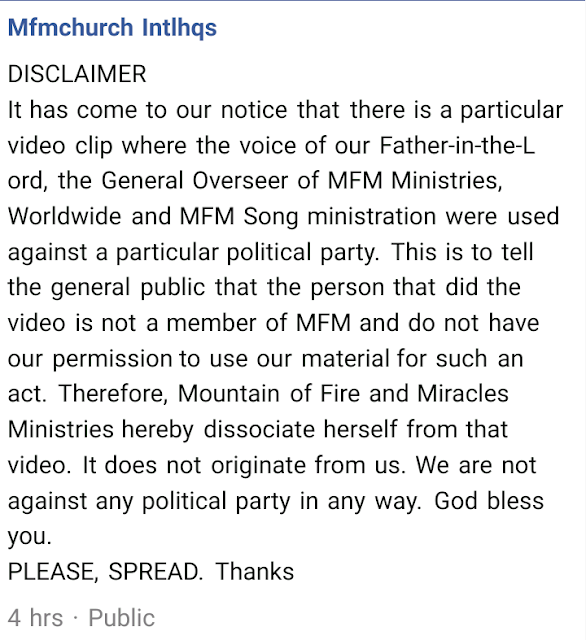 It has come to our notice that there is a particular video clip where the voice of our Father-in-the-Lord, the General Overseer of MFM Ministries, Worldwide and MFM Song ministration were used against a particular political party. This is to tell the general public that the person that did the video is not a member of MFM and do not have our permission to use our material for such an act. 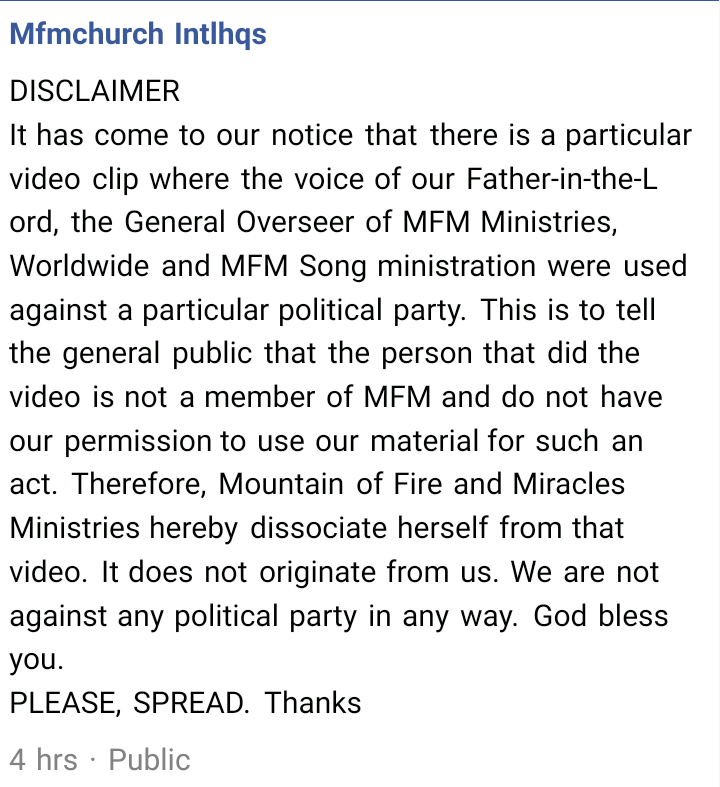 Therefore, Mountain of Fire and Miracles Ministries hereby dissociate herself from that video. It does not originate from us. We are not against any political party in any way. God bless you.